The Issue: When do the actions of one branch of the federal government unconstitutionally intrude upon the powers of another branch? The Constitution contains no provision explicitly declaring that the powers of the three branches of the federal government shall be separated. James Madison, in his original draft of what would become the Bill of Rights, included a proposed amendment that would make the separation of powers explicit, but his proposal was rejected, largely because his fellow members of Congress thought the separation of powers principle to be implicit in the structure of government under the Constitution. Madison's proposed amendment, they concluded, would be a redundancy. The first article of the Constitution says "ALL legislative powers...shall be vested in a Congress." The second article vests "the executive power...in a President." The third article places the "judicial power of the United States in one Supreme Court" and "in such inferior Courts as the Congress...may establish." Separation of powers serves several goals. Separation prevents concentration of power (seen as the root of tyranny) and provides each branch with weapons to fight off encroachment by the other two branches. As James Madison argued in the Federalist Papers (No. 51), "Ambition must be made to counteract ambition." Clearly, our system of separated powers is not designed to maximize efficiency; it is designed to maximize freedom. Two very different views of executive power have been articulated by past presidents. One view, the "strong president" view, favored by presidents such as Theodore Roosevelt essentially held that presidents may do anything not specifically prohibited by the Constitution. The other, "weak president" view, favored by presidents such as Howard Taft, held that presidents may only exercise powers specifically granted by the Constitution or delegated to the president by Congress under one of its enumerated powers. Our readings include two cases dealing with the breadth of executive power. 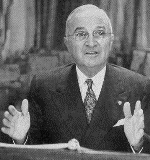 Youngstown Sheet & Tube Co. v Sawyer (1952) arose when President Harry Truman, responding to labor unrest at the nation's steel mills during the Korean War, seized control of the mills. Although a six-member majority of the Court concluded that Truman's action exceeded his authority under the Constitution, seven justices indicated that the power of the President is not limited to those powers expressly granted in Article II. 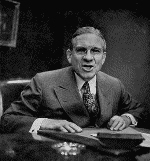 Had the Congress not impliedly or expressly disapproved of Truman's seizure of the mills, the action would have been upheld. Dames and More v Regan (1981) considered the constitutionality of executive orders issued by President Jimmy Carter directing claims by Americans against Iran to a specially-created tribunal. The Court, using a pragmatic rather than literalist approach, found the executive orders to be a constitutional exercise of the President's Article II powers. The Court noted that similar restrictions on claims against foreign governments had been made at various times by prior presidents and the Congress had never in those incidents, or the present one, indicated its objection to the practice. 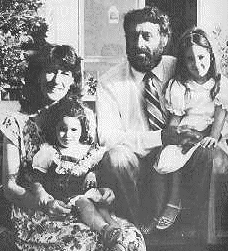 In INS v Chadha (1983), the Court considered the constitutionality of "the legislative veto," a commonly-used practice authorized in 196 different statutes at the time. Legislative veto provisions authorized Congress to nullify by resolution a disapproved-of action by an agency of the executive branch. Chadha contended that congressional action overturning an INS decision suspending his deportation constituted legislative action that failed to comply with the requirements for legislation spelled out in Article I, Section 7 of the Constitution. The Court agreed. In Bowsher v Synar (1986), the Court invalidated a provision of the Balanced Budget Act that authorized Charles Bowsher, as Comptroller General of the U.S., to order the impoundment of funds appropriated for domestic or military use when he determined the federal budget was in a deficit situation. The Court concluded that allowing the exercise of this executive power by the Comptroller General, an officer--in the Court's view--in the legislative branch, would be "in essence, to permit a legislative veto." Morrison v Olson considered the constitutionality of the "Independent Counsel" (or "special prosecutor") provisions in the Ethics in Government Act. The Court had considerable difficulty in identifying in which of the three branches of government the independent counsel belonged. Justice Rehnquist's opinion for the Court in Morrison took a pragmatic view of government, upholding the independent counsel provisions. 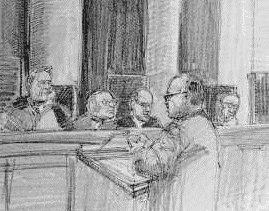 Rehnquist noted that the creation of the independent counsel position did not represent an attempt by any branch to increase its own powers at the expense of another branch, and that the executive branch maintained "meaningful" controls over the counsel's exercise of his or her authority. In an angry dissent, Justice Scalia called the Court's opinion "a revolution in constitutional law" and said "without separation of powers, the Bill of Rights is worthless." Justice Scalia dissented again in Mistretta v U. S.(1989), a decision upholding legislation which delegated to the seven-member United States Sentencing Commission (a commission which included three federal judges) the power to promulgate sentencing guidelines. Executive privilege, the right of the President to withhold certain information sought by another branch of government, was first claimed by President Jefferson in response to a subpoena from John Marshall in the famous treason trial of Aaron Burr. The Supreme Court's first major pronouncement on the issue, however, did not come until 1974 in United States v Richard Nixon. The case involved the refusal of President Nixon to turn over to Watergate Special Prosecutor Leon Jaworski several hours of Oval Office tapes believed to concern the Watergate break-in and subsequent cover-up. Although the Court unanimously concluded that the Constitution does indeed contain an executive privilege, the Court said the privilege was "presumptive" and not absolute. Balancing the interests in the Nixon case, the Court found the privilege not to extend to the requested Watergate tapes. Finally, in Clinton v Jones (1997), the Court rejected President Clinton's argument that the Constitution immunizes him from suits for money damages for acts committed before assuming the presidency. The case arose when Paula Jones filed a suit alleging sexual harassment by Clinton in an Arkansas hotel room in 1991 while Clinton served as Governor of Arkansas. Senator Proxmire of Wisconsin. 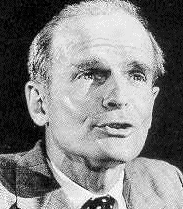 Proxmire's awarding of his "Golden Fleece" award to Dr. Ronald Hutchinson led to a defamation suit-- and a Supreme Court decision interpreting the Speech and Debate Clause. In 1979, in Hutchinson v Proxmire, the Court considered whether the immunity for Senate and House debate extended beyond the floor to cover press releases and statements made to the media. The Court concluded that the Speech and Debate Clause protected only official congressional business, not statements for public consumption. In Ex Parte McCardle (1868) the Court decided it lacked jurisdiction to consider the habeas corpus petition of William McCardle, a Vicksburg, Mississippi newspaper editor arrested by military official for writing incendiary editorials about the federal officers then in control of Mississippi during Reconstruction. Although McCardle made his petition under the 1867 Habeas Corpus Act, Congress repealed the provision authorizing McCardle's petition AFTER the Court had heard arguments in his appeal. Although it was obvious that Congress repealed the provision in an attempt to specifically deprive McCardle of the opportunity to gain release from military custody, the Court nonetheless upheld the validity of the Act and found itself without jurisdiction. Many subsequent commentators, including conservative judge Robert Bork, have criticized the Court's decision in McCardle and have predicted that it would not be followed today. All Bills for raising Revenue shall originate in the House of Representatives; but the Senate may propose or concur with Amendments as on other Bills. Every Bill which shall have passed the House of Representatives and the Senate, shall, before it become a Law, be presented to the President of the United States: If he approve he shall sign it, but if not he shall return it, with his Objections to that House in which it shall have originated, who shall enter the Objections at large on their Journal, and proceed to reconsider it. If after such Reconsideration two thirds of that House shall agree to pass the Bill, it shall be sent, together with the Objections, to the other House, by which it shall likewise be reconsidered, and if approved by two thirds of that House, it shall become a Law....If any Bill shall not be returned by the President within ten Days (Sundays excepted) after it shall have been presented to him, the Same shall be a Law, in like Manner as if he had signed it, unless the Congress by their Adjournment prevent its Return, in which Case it shall not be a Law. 1. What are some of the weapons each branch is given by the Constitution to fend off encroachment by other branches? 2. Which view of presidential power under the Constitution makes the most sense to you--the "strong" view or the "weak" view? Why? Which view has the Court come closer to adopting? 3. How should a history of congressional inaction in response to an assertion of presidential power be interpreted? 4. Did the Constitution empower President Lincoln to issue his famous Emancipation Proclamation? 5. It is not obvious that the Court has the power to review presidential assertions of power. What do you think about the suggestion that the Court should refrain from reviewing these exercises of power under "the political question" doctrine? 6. Why do you think Congress came to rely so heavily on "legislative veto" provisions? What are the alternatives? 7. Among the many ways of evaluating justices, one is to measure their willingness to accept as constitutional "pragmatic" solutions to the problems of modern governance. On such a scale, with respect to recent justices, might Justice White be called the "most pragmatic" and Justice Scalia the "least pragmatic" justice? 8. The Court seems to view the power of removal as key to placing an official in one or another branch of government. Why is the power of removal so important? 9. Have special prosecutors made a positive or a negative contribution to public life? 10. Do you accept Justice Rehnquist's argument that the Court should be concerned when one branch seems intent on increasing its power at the expense of other branches, but much less so when that is not the intent of an alleged separation of powers violation? 11. Is Justice Scalia right in suggesting, after Morrison, we now have a "standardless judicial allocation of powers"? 12. What do you think about the guidelines of the U. S. Sentencing Commission? Have they served to provide more uniform sentencing? Have they taken too much sentencing discretion away from trial judges and juries? 13. Could it be argued that the Federal Rules of Civil Procedure violate constitutional separation of powers principles? 14. Could Congress delegate all of its law-making power to a super agency and take a long vacation? Why would such a broad delegation violate the Constitution? How far can Congress go in delegating its law-making powers? When are standards for the exercise of administrative discretion sufficient for constitutional purposes? 15. What is the best argument for recognizing constitutional protection for claims of executive privilege? 16. What would happen if the President were to ignore a direct order from the Supreme Court to respond to a legislative or judicial branch request for information? President Nixon promised to obey "a definitive opinion of the Supreme Court." What do you think he meant by "definitive opinion"? 17. Should the doctrine of executive privilege apply differently in impeachment proceedings? 18. What's the case for making the President immune from suits for damages while in office? "There is not a single shade of difference between Schofield, Sickles, Sheridan, Pope and Ord [generals in charge of Reconstruction]:...They are all infamous, cowardly, and abandoned villains who, instead of wearing shoulder straps and ruling millions of people should have their heads shaved, their ears cropped, their foreheads branded, and their persons lodged in a penitentiary." "I cannot give my assent to a measure which proposes to deprive any person restrained of his or her liberty in violation of the Constitution...the right of appeal to the highest judicial authority known to our government....The Supreme Court combines judicial wisdom and impartiality to a higher degree than any authority known to the Constitution; any any act which may be construed into or mistaken for an attempt to prevent or evade its decision on a question which affects the liberty of the citizens and agitates the country cannon fail to be attended with unpropitious consequences." "The Court stood still to be ravished and did not even hallo while the thing was getting done...The whole government is so rotten and dishonest that I can only protest. It is drunk with blood and vomits crime incessantly." 19. What should the Court have done in Ex Parte McCardle? Consider these options: (1) Conclude that it had already determined it had jurisdiction and ignore the repeal act; (2) Consider the act, but hold it inapplicable because it was enacted after oral argument had occurred; (3) Hold that the act violated Article I, Section 9, Clause 2 in that the suspension of habeas corpus was not required by public safety; (4) Hold the act violated the Fifth Amendment because it deprived McCardle of due process of law; (5) Hold the act violates basic separation of powers principles and that Congress cannot curtail the jurisdiction of the Court; (6) Uphold the act and dismiss the case for want of jurisdiction. "Clinton's affair with Monica Lewinsky, an affair intrinsically devoid of significance to anyone except Lewinsky, would have remained a secret from the public. The public would not have been worse for not knowing about it. There would have been no impeachment inquiry, no impeachment, no concerns about the motives behind the President's military actions against terrorists and rogue states in the summer and fall of 1998, no spectacle of the United States Senate play-acting at adjudication. The Supreme Court's decisions created a situation that led the President and his defenders into the pattern of cornered-rat behavior that engendered a constitutional storm and that may have embittered American politics, weakened the Presidency, distracted the federal government from essential business, and undermined the rule of law." 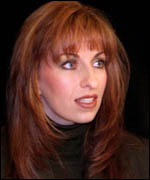 As a result of the Supreme Court's action, Judge Susan Weber Wright allowed discovery to proceed in the Paula Jones lawsuit. Judge Wright ruled that lawyers for Jones, in order to help prove her sexual harassment claim, could inquire into any sexual relationships that Clinton might have with subordinates either as Governor of Arkansas or as President of the United States. A critical moment in the cascade of events that would eventually lead to impeachment came on December 5, 1997 when Jones's lawyers submitted a list of women that they would like to depose. 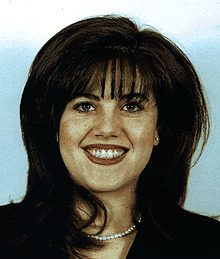 Included on the list the name of Monica Lewinsky.